The perfect CV cover letter is just that – a letter. Adding a couple of paragraphs to the email you’re sending won’t hack it. 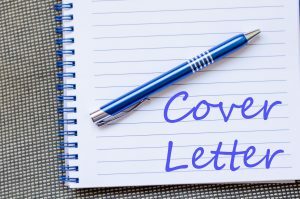 According to CV Library 57% of UK employees think that a CV cover letter is essential. So what else do you need to know? People in the Print and Packaging industries care about how things are presented. So make sure your letter looks great – plenty of white space with smart formatting. There are lots of examples online, so choose a good one and copy it. Unfortunately, you don’t have much control over the Word settings that the recipient is using, so it’s a good idea to make a PDF of your letter once it’s ready. Find out who you’re sending it to. Get their name and job title, and add these to the address. And when you’ve got their name, give them a quick Google, or look on LinkedIn, and see whether they’re the type who list their qualifications after their name. If they are, you get a gold star for adding them in your letter. There’s nothing like a bit of flattery to get you off on the right foot. The point about the covering letter is to say things that aren’t obvious from the CV. Think about what kind of culture the company has and why your personality makes you a good fit. Look at the company’s mission statement and values. If you share similar values and goals mention it in your letter. Give specific examples of what you have done that demonstrate that you will fit in with the company. Don’t just mention work related activities. Give examples of out of work activities that demonstrate a more rounded personality. And say when you’re available but make it tactful. So if you’re currently between jobs, you’re “available to make an early start”. We often go looking for a new job because we’re fed up with the old one. This is a negative frame of mind that can easily come out in the way you express yourself. So, avoid any criticism of your current job and employer and concentrate on the positive step forward that the new job represents. You’re ready to take on greater responsibilities, move to a different part of the industry that you find fascinating.